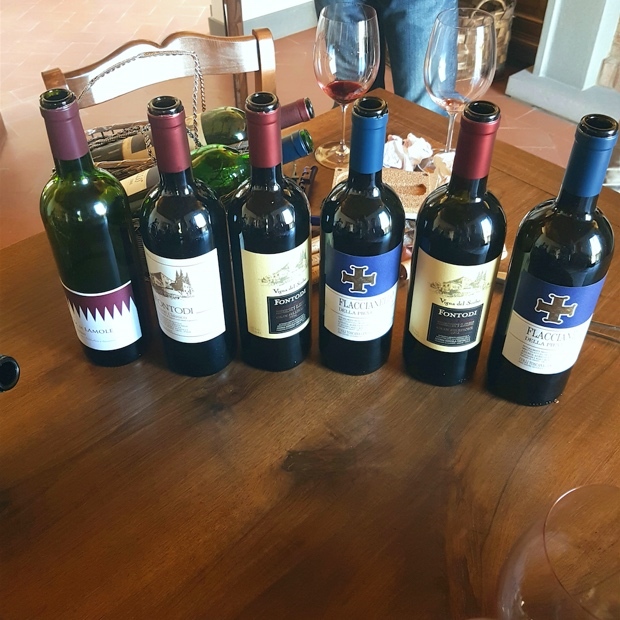 I have spent quite a bit of time in Chianti Classico over the past two years, most recently during the last week of September. 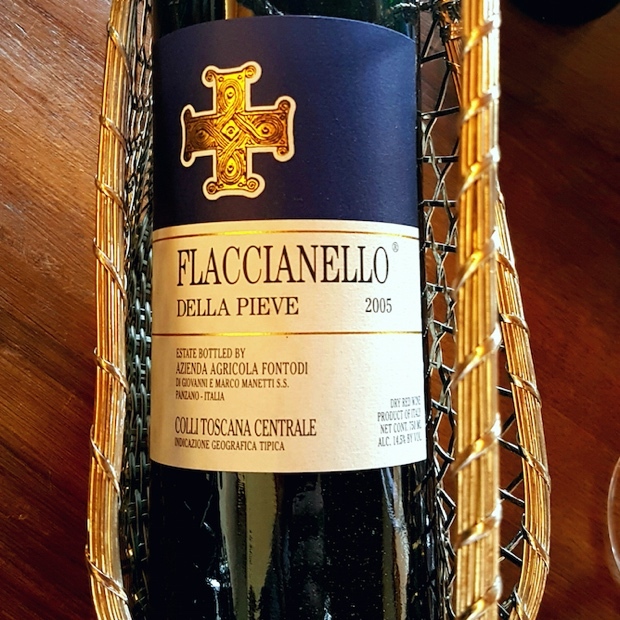 The occupation of study and discovery and the investigation into the intricacies and multiplicities of the region’s sangiovese prepossess a lifelong infatuation. If the cumulative is a factor of compulsive obsession so be it and while decades of learning are left to attack, an essential visit can now be crossed off the bucket list. With Giovanni Manetti at Fontodi. Fontodi is a certified organic estate which extends over 130 hectares of which approximately 70 are planted to vines. When you break down the name into two parts, first fonte or “source” and odi, “hate” you paint an image in etymology that couldn’t be further from the truth. Take a walk through the estate’s vineyards set in Panzano’s Conca d’Oro and the exact opposite unfolds. Fontodi’s estate vines are as described (and for the effects on health and happiness) prescribed as a place of “high altitude, calcaire-clay-schist soil, lots of light, and a fantastic micro-climate – warm and dry with a marked difference in day and night-time temperatures.” Lots of light is really key, “un sacco di luce,” or as it could be construed, “a source of love.” Spend three hours with Fontodi’s proprietor Giovanni Manetti and you’ll get the picture. Fontodi as Fonte di amore. Today is September the 23rd. First we take a drive down into the Conca d’Oro and walk in the vines. 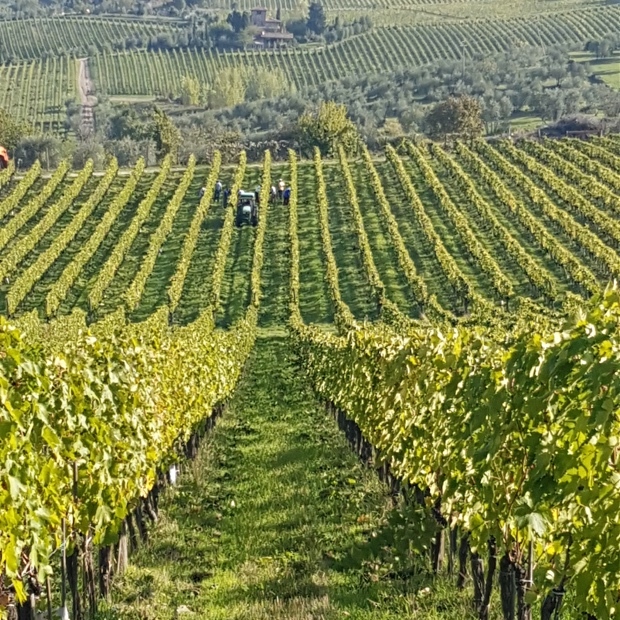 The sangiovese blocks with the finest exposure and the most sun have just recently been picked. Others are coming in as we speak. The rest will be harvested by the end of the week. It has been a most unusual vintage in Chianti Classico. One of the warmest and driest winters on record is interrupted by a near-devastating spring frost then followed by scorching summer temperatures and no rain. The grapes dry up and desiccate to nearly nothing with the danger of an empty harvest looming. Then a miracle happens and the rains fall during one crazy week in early September. There are producers who make a fateful mistake. They pick their sangiovese ahead of the rains. Sugar and alcohol are high in the shrivelled berries but phenolic ripeness lags well behind. The stems and seeds in these preemptively harvested sangiovese are green, underdeveloped and bitter. The tannins will follow suit. Though these wines will be jammy and flavourful in the first year or two, the hollow feeling on their mid-palate and the astringency on their finish will expose their weakness. Giovanni Manetti makes no such mistake. 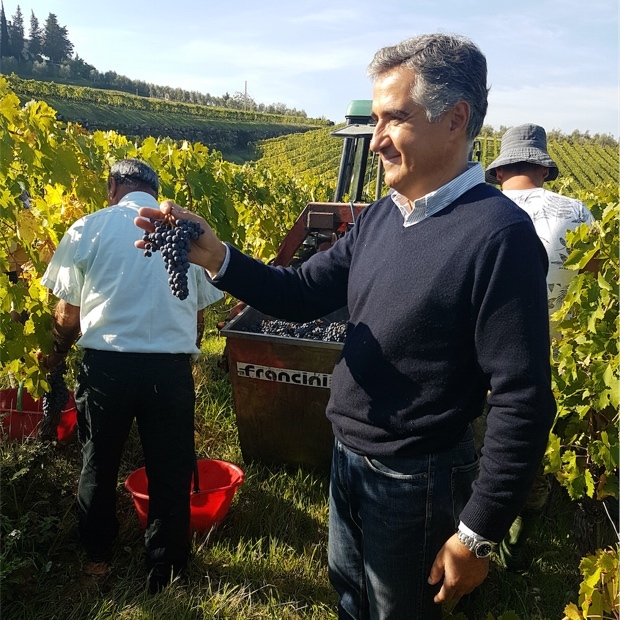 He allows the grapes to swell with the much-needed watering and then watches them develop their phenolics over the following weeks of warm weather. His sangiovese are beautiful, lower in yield, with many of the bunches and their berries smaller in size, but ripe nonetheless. 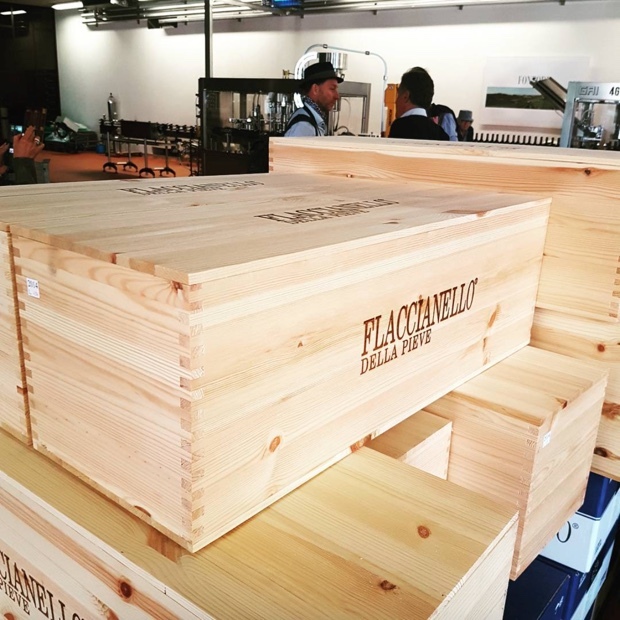 It may not turn out to be a great year for Chianti Classico and Flaccianello economics but the 2017 wines will shine. We move on down to visit the Chianina. 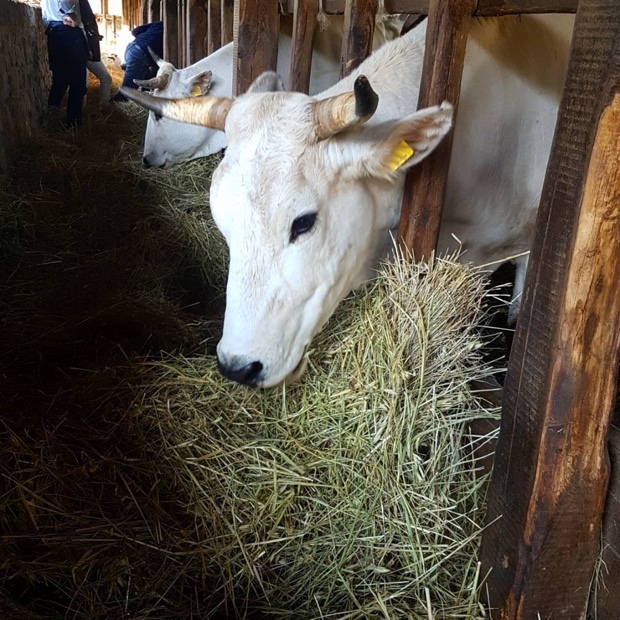 The Chianina are an ancient and very large Italian breed of cattle raised mainly for beef. The beautiful, regal and majestic cows are famous for producing the meat for Toscana’s bistecca alla fiorentina. Giovanni’s herd are nurtured for one specific purpose, to supply the most famous butcher in Italy Dario Cecchini with his meat. Says Cecchini, “The Officina della Bistecca is our convivial way of answering the difficult question of the perfect way of cooking Her Majesty the Bistecca alla Fiorentina and Her Sisters the Costata and the Panzanese steak.” The farm to table relationship between Fontodi and Antica Macelleria Cecchini is witnessed right here, first hand. 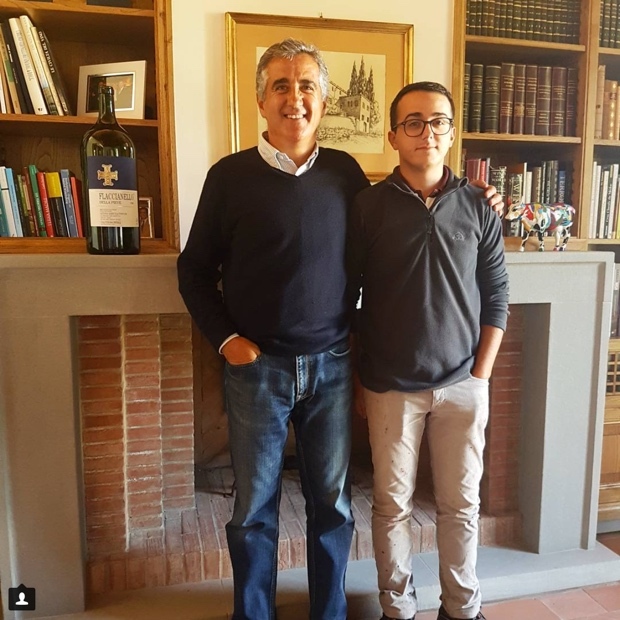 Back in the winery Manetti is fully cognizant of a group of seasoned journalists and sommeliers having visited more than their share of estates so we skip past the stainless steel tanks, barrel cellars and bottling lines to get down to what is really right. Along with John Szabo M.S. (WineAlign partner and author of Volcanic Wines), Brad Royale (WineAlign judge, Wine Director of Rocky Mountain Resorts and most interesting man in Canada) and Steven Robinson (First Ontario Ambassador of Chianti Classico and Sommelier at Atelier Restaurant in Ottawa) we talk amphora with Giovanni. 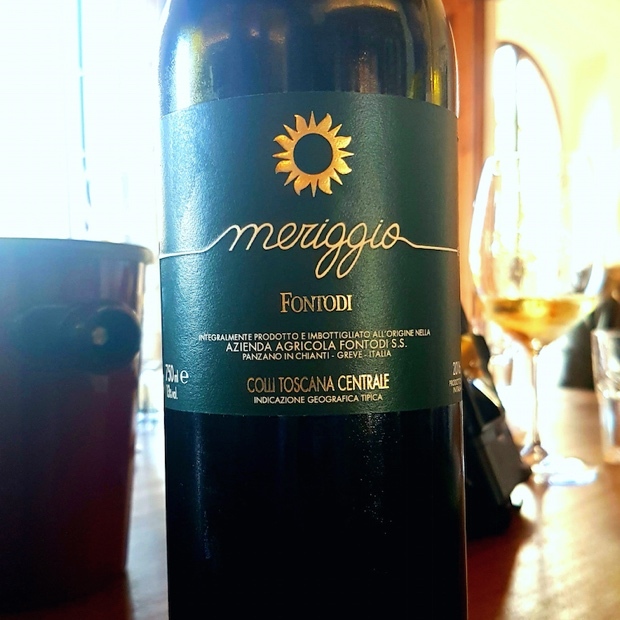 Much experimentation is taking place at Fontodi even while much of the world may not associate their iconic sangiovese with this sort of side work. Along with decades of producing tiles, the hand-made wine Amphoras manufactured by Manetti Gusmano & Figli are the result of eight generations of experience in the production of Cotto and high quality handmade terracotta. What makes the Manetti Amphorae special is the uniqueness of the clay; the abundant presence of Galestro in the terroir of Chianti Classico, the salts and the calcium carbonates confer the right microporosity, enabling the wine to breathe correctly. 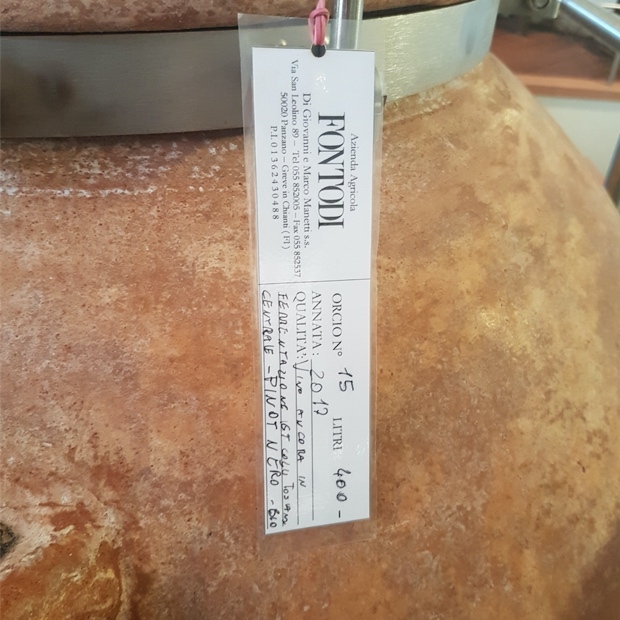 This feature, the antioxidant and antibacterial action and the high thermal insulation capacity make the terracotta Amphora an ideal tool for the production of great natural wines. Fontodi and natural wines. Another partnership so worth exploring. After the amphora we sit down to taste through the wines of Fontodi. There are good solid sessions and then there is the kind of catechetical research afforded with a proud and humble man of Giovanni Manetti’s stature. First the presentation and sangiovese appetite whetting pour of Meriggio, a sauvignon blanc from the Colli Toscana Centrale, a rest in the shade, “and as for compensation, there’s little he would ask.” Then the Chianti Classico from Fontodi and neighbouring Lamole in Greve in Chianti, for perspective and contrast. 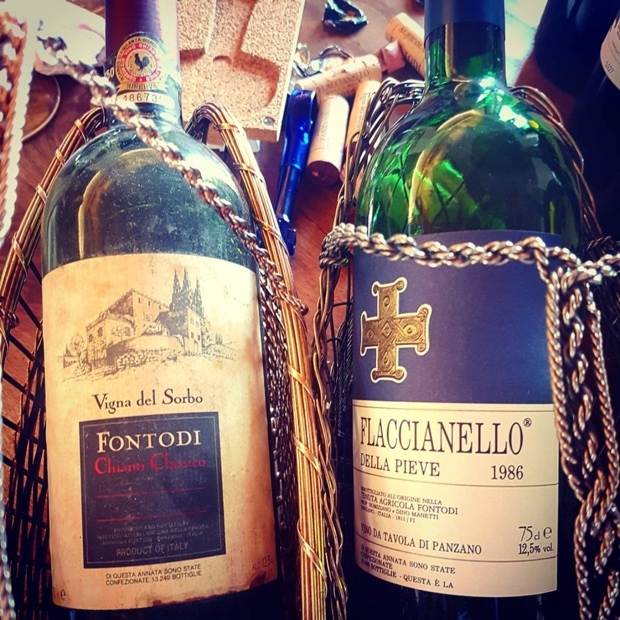 Manetti gets down to the greatest of Chianti Classico/Toscana IGT contrastive verticals with eight vintages of Vigna del Sorbo (now labeled as Gran Selezione) and Flaccianello della Pieve. When asked what he thinks of the Chianti Classico Gran Selezione category moving to 100 per cent sangiovese he laughs. “What do I think of the idea? It’s my idea!” The notes will explain the rest. This entry was posted in Chianti Classico, Chianti Classico Gran Selezione, Fontodi, Greve in Chianti, IGT Colli Toscana Centrale, Italy, LCBO, Panzano, Tuscany, VINTAGES, VINTAGES Releases, WineAlign, Wines Tasted and tagged Alcoholic Beverage Manufacturing, Beverage Manufacturing, Beverages, Brad Royale, Chianina, Conca d'Oro, Culture and Lifestyle, Dario Cecchini, Drinks and Beverages, Eugenio Montale, Filetta Di Lamole, Flaccianello, Flaccianello della Pieve, Food and Beverage Sector, Food and Wine, Giovanni Manetti, John Szabo M.S., La Rota Vineyard, Lamole, Manetti Gusmano & Figli, Meriggio, Michael Godel, Red Wine, Sangiovese, Steven Robinson, Tasting Notes, Vigna Del Sorbo, Vineyards and Winemakers, White Wine, Wine, Winemaking.